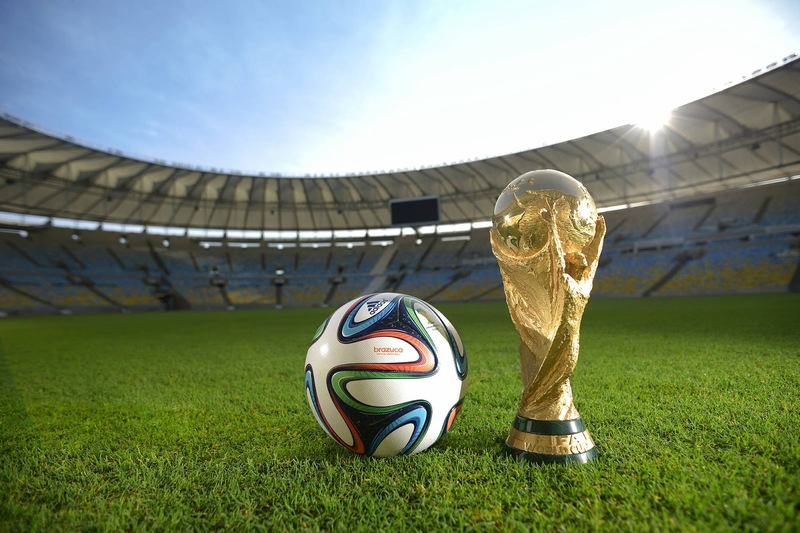 Happy World Cup Final 2014! Argentina vs. Germany? Who do you want to win? Currently watching it right now as I type! Just hoping for a great game! It’s been a pretty exciting month-long competition! Given that it is now on, I won’t take too long to tell you about this dish that I created for the World Cup 2014 final. What could it be other than pasta? Football/soccer players and all athletes around the world eat pasta to fuel them! Got some inspiration from this video clip in which Gordon Ramsay makes some pasta dishes with some soccer players. Pretty interesting. 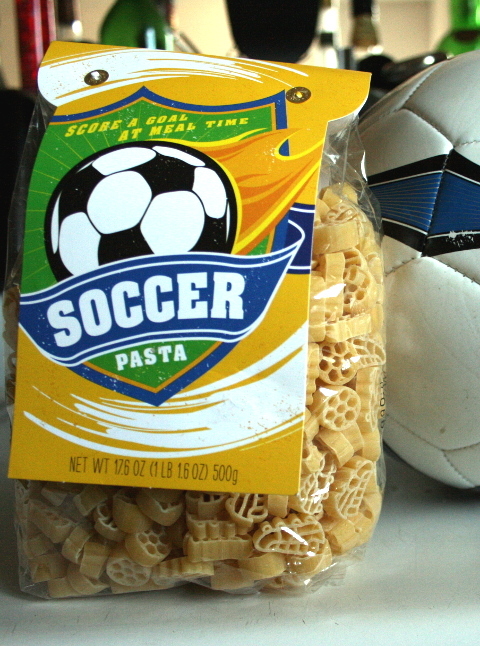 Had to use this Soccer pasta (got it at World Market)! Cook the pasta according to package directions (in salted water) while prepping the rest of the ingredients. Everyone needs some veg! 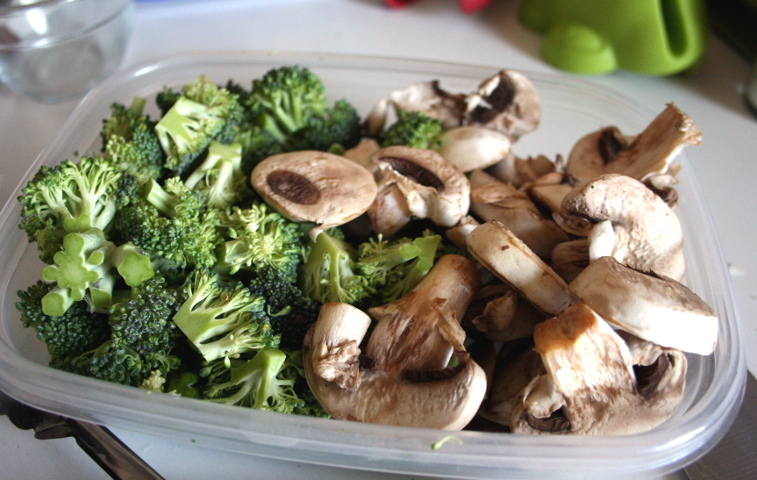 Here’s some chopped broccoli and sliced mushrooms. Of course, use whatever veg you have on hand! Whatever you want and how much you want! I sometimes go veg heavy. 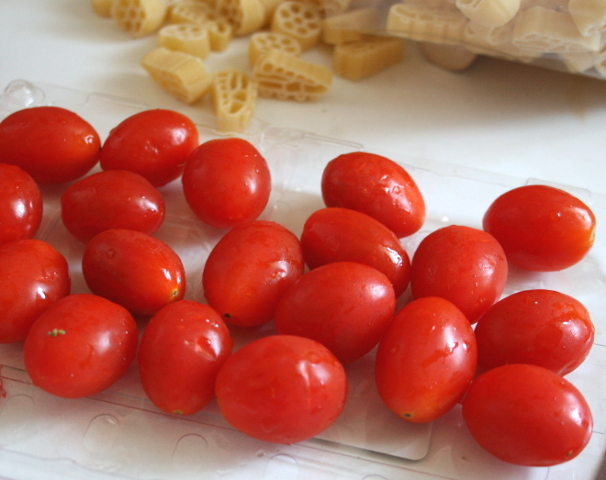 Then some cherry tomatoes. I decided to slice them in half after taking this photo. Sauté up some lean chicken (or other lean protein) in a bit of olive oil, then add 5 garlic cloves (roughly chopped) and one large shallot, sliced. Season with salt & pepper to taste. After about 5-7 minutes, add some dried herbs (I used oregano, basil, parsley, fennel, rosemary), to taste. Add some dried chili if you like. Or maybe some lemon zest! Pour ~1/4-1/2 cup of organic milk (optional, could use water or some of the pasta cooking water) and let it cook for a few minutes. If you really like lemon, like me, you can add just a small squeeze of lemon juice. Add the veggies and sauté for a couple more minutes. 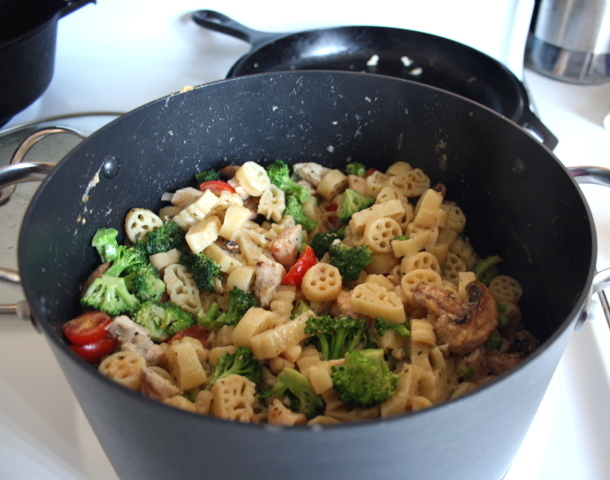 The pasta should be done by now, so add it to the pan. Optional garnishes: a sprinkle of parmesan cheese (or maybe some nooch! 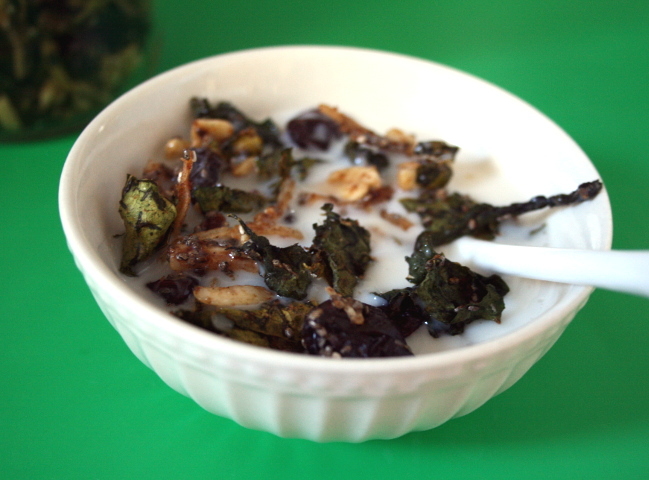 ), drizzle of extra-virgin olive oil, or more chopped herbs. This entry was posted in Cooking, Food, Recipes and tagged 2014 FIFA World Cup, Argentina, athlete food, Germany, Gordon Ramsay, Pasta, soccer pasta, sports, watching sports, world cup, World Cup 2014, World Cup Final 2014. Bookmark the permalink. 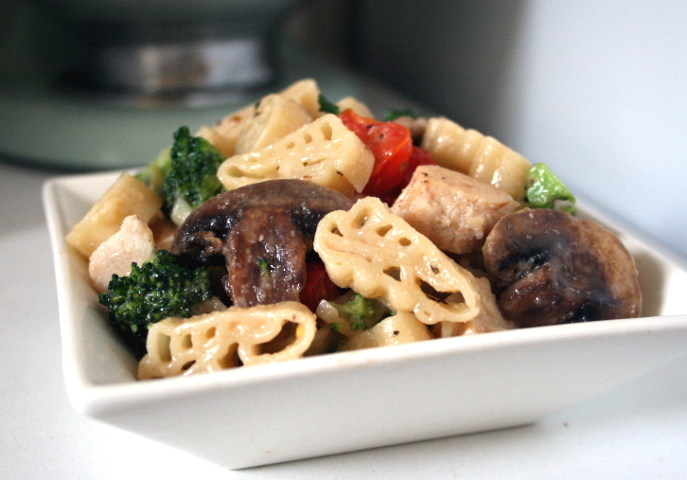 Love the soccer pasta, great dish, perfect food to eat while watching the game! I use that pasta all the time and love it!!! This is a “must try”……just “happen” to have all that’s needed!!!! YUM! Me, too, and I have the loaded shelves to prove it!!!!! Oh no, I hope you didn’t lose too much! 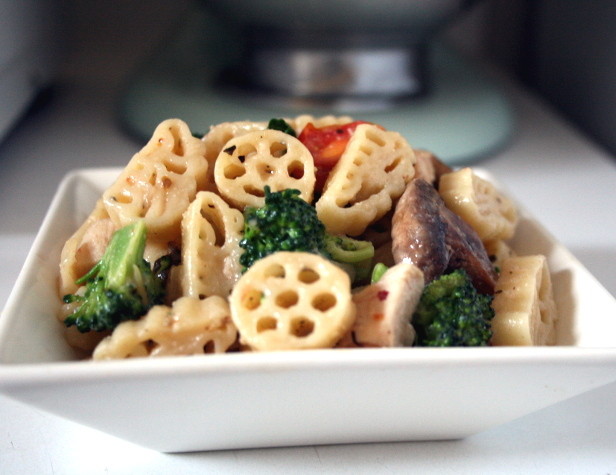 No matter who won the cup, you can’t go wrong with a pasta and veggie dish. Looks great! 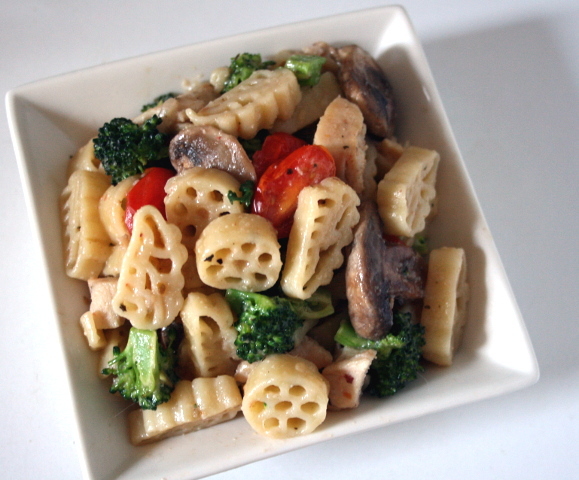 soccer pasta? brilliant and fun 🙂 Your dish looks tasty–packed with good stuff.